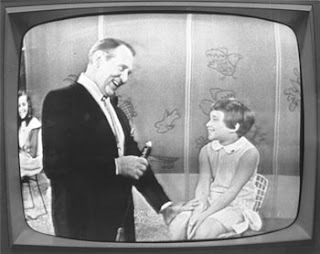 This morning while getting ready for the morning show… I was listening to an interview on Dr James Dobson’ Focus on the Family and heard some astounding words by a man named Art Linkletter. Some of you may not recognize his name, but he was the host of a show called “House Party”. The show aired for a quarter of a century (25 years). He also wrote the book “Kids Say the Darndest Things”. Here is the poem he shared near the end of the show. I never want to be what I want to be, because there’s always something out there yet for me. I get a kick out of living in the here and now, but I never want to feel I know the best way how, because there’s always one hill higher with a better view, something waiting to be learned I never knew. So until my days are over, never fully fill my cup, let me go on growing, growing up. This poem reminds of something that Michelle says often, “Remember, you can’t start over and redo yesterday. However, you can start today and have a brand new tomorrow!” Bless You! This entry was posted in Good Friends and tagged Art Linkletter, Dr. James Dobson, Focus on the Family, Growing Up, House Party, Kids Say the darndest Things. Bookmark the permalink.